SAVE THE DATE! The Brisket Chronicles are coming! Please choose your option –PBS39 Member or Non-Member — from the button choices below. You can also click the third button to become a member of PBS39 immediately before purchasing tickets. I AM NOT A PBS39 MEMBER, but I’d like to buy tickets. I am not a PBS39 member, but I would like to be. Yes, I AM A PBS39 MEMBER and I want to buy tickets! An award-winning journalist, Raichlen has written for The New York Times, Wall Street Journal, Esquire, GQ, and all the major food magazines. In 2015, he was inducted into the Barbecue Hall of Fame. 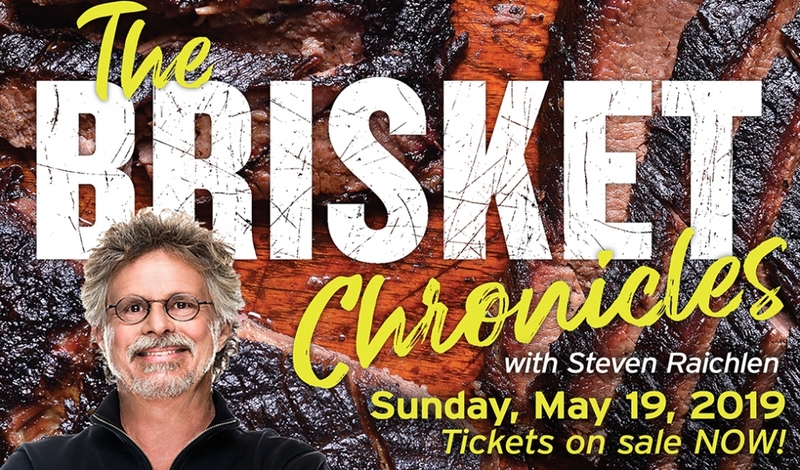 Steven Raichlen hosts the popular TV shows Steven Raichlen’s Project Fire and Project Smoke, Primal Grill, and Barbecue University on Public Television, and stars in two French language TV shows—Le Maitre du Grill and Les Incontournables de BBQ. His latest show, Steven Raichlen Grills Italy, airs on Gambero Rosso in Italy.